Getting a new pet in the family is always an exciting and nerve-wracking time. You want to make sure you’re settling in your new companion, while at the same time keeping everyone in the house secure in their position – especially if you have existing pets living with you. Getting a new cat is a big decision and the biggest is often whether to have an indoor cat or an outdoor cat. Cats are the one pet who are often renowned for being able to entertain themselves. Cats are picky about the company they keep and if they want to play with you, they’ll come to you in their own sweet time. Those who are working full-time jobs can often prefer to have a cat than a dog, as dogs often need far more concentrated attention than a cat does. Despite this, it’s always important to provide entertainment for your cat. Indoor cats tend to get bored far faster than an outdoor cat, as they don’t have the same exploring abilities as an outdoor cat does. We’ve put together some of the best pet-ertainment out there so that you can have a blast getting your kitty settled and secure in your home. Windows. Cats love to look outside, even if they aren’t particularly inclined to get going out there! Setting up a comfy window seat with a view to the world – especially to the trees and birds – is a great way to give your cat something else to look at than the four walls of the home. Lasers. You’ve seen the YouTube videos and likely experienced it for yourself, but laser pointers are an amusing tool for any cat. It engages their minds and gets them moving in a way that’s entertaining for both them and you! Fish. If you’ve got a fish tank in the house, you’ll have likely noticed the cat paying particular attention to the movement of the water. Obviously, ensure that your cat has no access to your scaly companions; the last thing you need is pet murder in the house! Furniture. Cat trees like these are fantastically interactive. 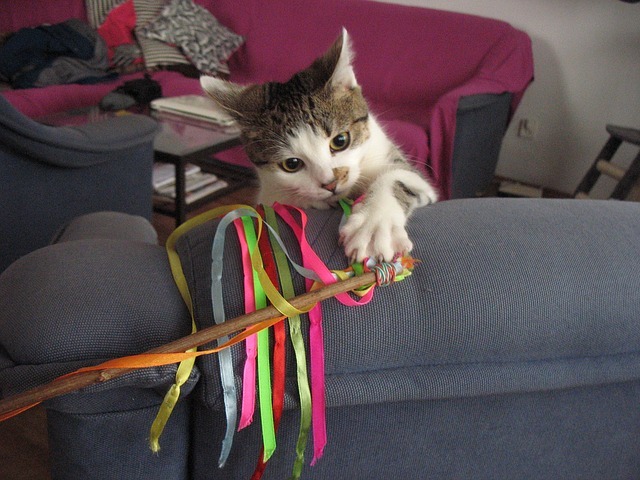 Cats love to explore so encourage them to sniff around their new toy with cat treats hidden around it. They are comfy to relax in and have great hiding places, so if you have more than one furry friend they can play games together! Remote Control Toys. Wind up mice and cars are fantastic fun for cats that love to play chase. They won’t fetch them for you the way a dog would, but they have a great time burning energy and diving onto toys. 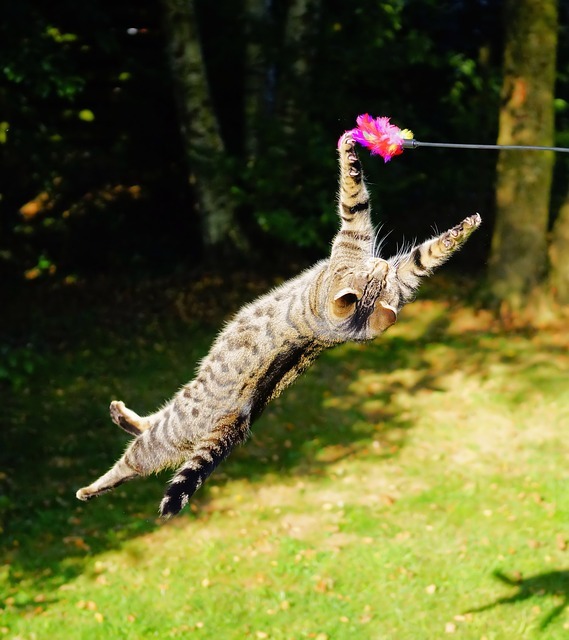 Cats may not be as sociable as dogs, but they are just as in need of our attention and entertainment. 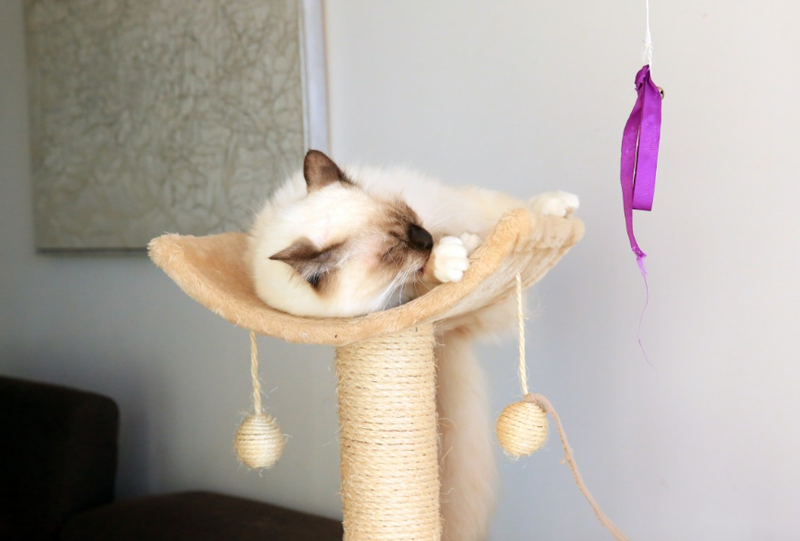 Spending some time getting to know what makes your new cat happy is going to make such a difference to the way you spend your money on your entertainment for your pet.